We don't officially have a category for "swag", but this falls into that classification. As a big space nerd and sci-fi lover, I can't help but share this nifty bit of swag from Comic-Con that I picked up today. During the Paramount panel yesterday, where they surprised fans in Hall H by bringing out Interstellar director Christopher Nolan and Matthew McConaughey (read our full recap of that panel), the studio handed out tickets to be redeemed for a "prize". That prize? 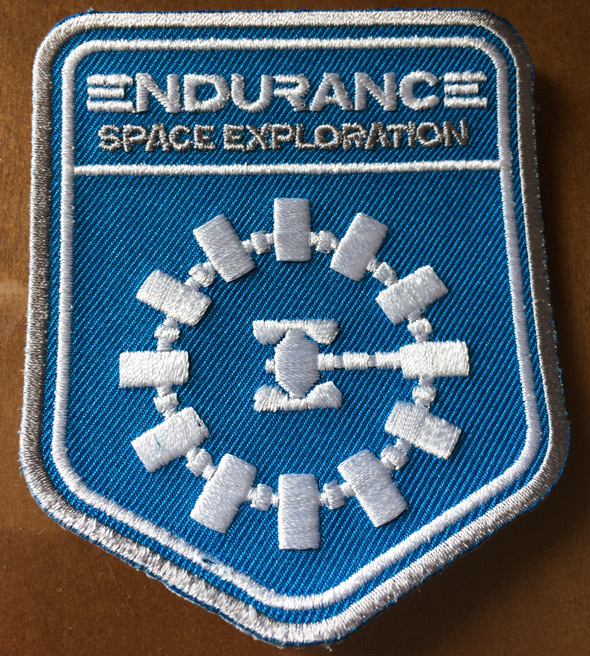 The mission patch from Interstellar, for the "Endurance" Space Exploration mission. It's small piece of swag, it's nerdy, but it's also kind of awesome. In full below. Here's the mission patch that was handed as a prize for those who were at Paramount's Comic-Con panel. Recap our coverage of Interstellar at Comic-Con here, including quotes from Nolan and McConaughey. Interstellar is directed by British filmmaker Christopher Nolan, of the films Doodlebug, Following, Memento, Insomnia, Batman Begins, The Prestige, The Dark Knight, Inception and The Dark Knight Rises. The screenplay is written by Christopher Nolan & Jonathan Nolan, based on scientific theories by Caltech astrophysicist Kip Thorne and follows a group of explorers who make use of a newly discovered wormhole to surpass the limitations on human space travel and conquer the vast distances involved in an interstellar voyage. Matthew McConaughey stars in the film which Paramount Pictures releases on November 7th. Dig that patch. Very excited for the film.